Nine years ago, this day held much less significance in my life. Then, everything changed. 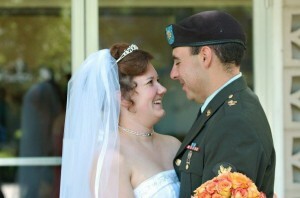 Eight and a half years ago, I married a soldier. By Veteran’s Day 2007, we faced our first deployment while I was pregnant with Dietrich. We realized the value of time, making memories in each moment. I chose to embrace each day as an adventure and share that value with our son. A year home, then another deployment. More mother and son adventures. My husband’s job in the military offered no promotions and he grew increasingly exhausted by his position at our first duty station. He emailed the branch manager about a change. Then, we moved to Germany. Up until this point in my life, I believe I had it easy. No big hardships or traumas. Then, I had a miscarriage. Almost as much as having a baby changes your life, so does losing one. We knew upon our arrival and beginning work with the new unit that deployment would soon follow. Again, Dietrich and I faced the adventure. Again, Peter left a pregnant wife behind. Though we had some frustrations, all ended with a beautiful and healthy baby girl. When this deployment ended, the real fun began. We made memories all over Europe. Adventure could happen in a local festival or a birthday extravaganza to Thomas Land. As his contract drew to an end, we prepared to return stateside. Transitioning to civilian life is the biggest adventure yet, but without the fun touristy stuff. We watched the movers in Germany pack our belongings. Then, in horror we unpacked months later. Now, we simply celebrate and continue making memories because Life is Truly a Great Adventure. This post is part of the One Word Blog Linkup hosted by, Janine and Lisa! This week, the word prompt choices are Then and Break. I also link up with other bloggers all over the world. I remember being in my early 20s and also thinking that I’d had a relatively easy life with no trials. In some measures I guess people could still say that about me, but years of having and bearing children has been both the greatest blessing and the greatest trial of my life. The sadness of losing a pregnancy, the agony of wondering whether you’re going to lose one, and the heartbreak of a complicated pregnancy/delivery/NICU stay. I would do it all again in a heartbeat (and actually I AM doing it all again because I’m currently pregnant!) but it certainly has made me grow into the person I am today and it hasn’t been an easy road! What a journey!! Love that pic, too! One of my favorites. That homecoming is the only one I splurged and did pictures (a friend at our congregation in Germany does amazing photography work). As long as we learn throughout our journey, the trip is a success.